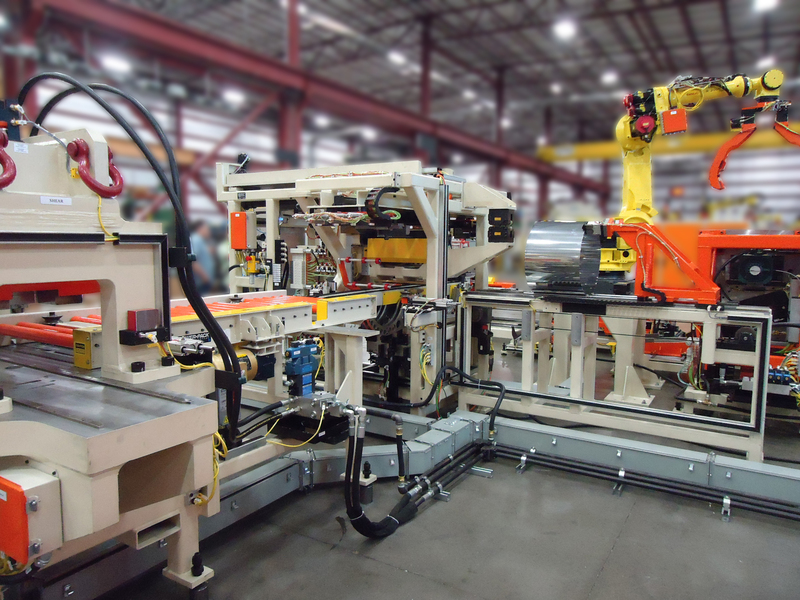 Coldwater Machine Co., a manufacturer and integrator of assembly automation and special machines for the appliance, automotive and aerospace industries, announces the availability of a roll-up and laser-weld module for the fabrication of clothes washer and dryer drums and baskets, or other round sheetmetal wrappers. Based on a standard Coldwater-developed process, systems can be customized to suit customer requirements. Coldwater has automated the process from coil stock to finished basket or drum with a flexible and modular approach that allows on-the-fly automatic changeover to different part diameters and heights, for optimum overall equipment effectiveness (OEE). The process begins with a servo-controlled decoiler that feeds stainless steel through a straightener into a proprietary trimming press. Here the material is sheared to the specified sheet lengths, and edges are prepared for laser welding. The material automatically feeds into the roll-up and laser-weld module, which rolls the sheet into a hoop-shaped wrapper. The joint then is laser-seam-welded in a single operation, eliminating double handling of the part as in traditional processes. Laser welding can be performed using CO2 or fiber lasers; the process includes inline scanning and inspection of the weld joint.